Highly acclaimed and hugely popular gay drama about a married fisherman in love with an artist, Undertow is the winner of 39 film festival awards. Miguel is a young and handsome fisherman who lives with his beautiful pregnant wife in Cabo Blanco, a small traditional fishing village in Northern Peru. 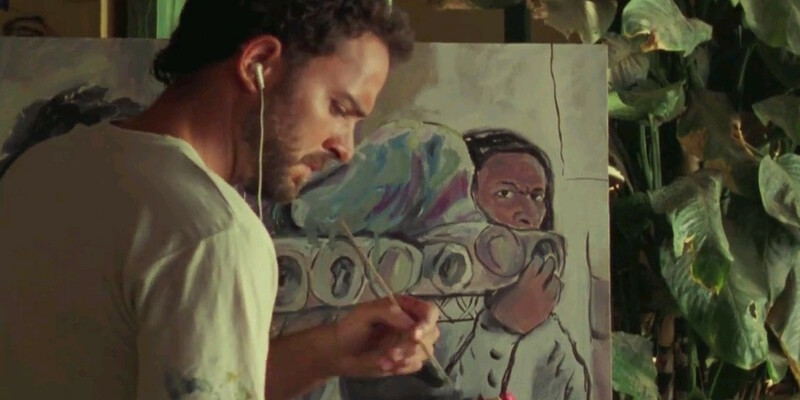 What nobody knows is that Miguel is having a passionate affair with Santiago, a painter ostracized from the community due to his sexuality and agnostic views. When Santiago drowns accidentally, Miguel has to make an important choice that could cause him to lose the people he loves the most. 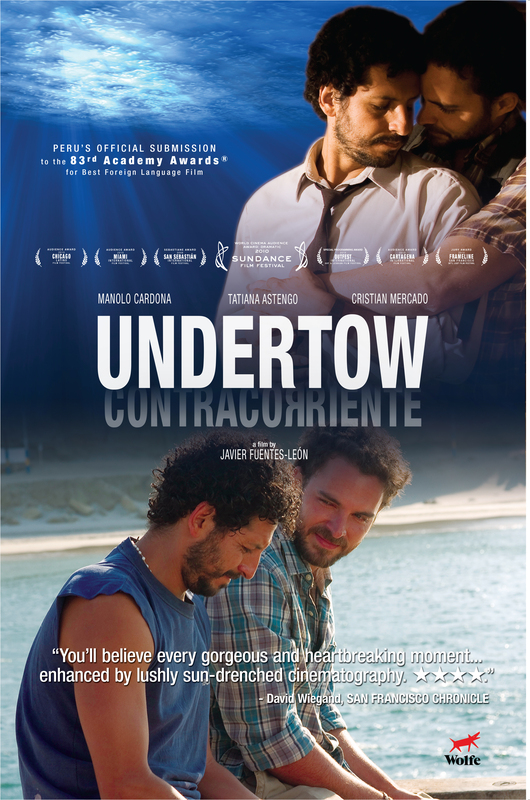 With its emotionally charged love story, sweeping images of the beautiful Peruvian coastline, and excellent cast, Undertow examines the complicated intersection of manhood, masculinity, sexuality, and tradition. UNDERTOW IS ONE OF THE MANY FILMS INCLUDED IN THE CATALOGUE OF SPANISH FILM CLUB. SFC AFFILIATED UNIVERSITIES CAN TAKE ADVANTAGE OF A SPECIAL PRICE OF $99 IF THE TITLE HAS BEEN INCLUDED IN THEIR SFC FESTIVAL. PLEASE CONTACT SFC STAFF AT FILMCLUB@PRAGDA.COM FOR MORE DETAILS. Javier Fuentes was granted a scholarship from the OAS and moved to Los Angeles where he pursued an M.F.A. in film directing at the California Institute of the Arts (CalArts). His short film Rooms (Espacios) was awarded by the National Film Board of Peru (CONACINE). In 1998, Javier started his career in film and TV in the U.S., becoming the main writer of TV shows for Telemundo and editor of commercials and TV shows. Javier also worked on his own projects throughout these years. He wrote and directed his most recent short film, Gemini (Geminis), which screened in many North American film festivals, and wrote two feature scripts: The Woman Who Feared the Sun (La Mujer Que Temía Al Sol) and Undertow (Contracorriente) which he started to write in 2003 under the mentorship of John August (Big Fish) and John Cooper (Director of the Sundance Film Festival). Undertow has received multiple awards and distinctions. Undertow (Contracorriente) is my first feature film, a very personal project in which I explore themes that I believe are very relevant today. Having lived a long time away from Peru has allowed me to see with a new perspective certain aspects of the society in which I grew up, and to realize that the concept of “manhood” can sometimes be very distorted there (as it is in almost all of Latin America), and be replaced by poorer and more limited definitions that have less to do with honor and authenticity and more with masculinity and power. In a way, Undertow was born out of a personal quest to define what it is to be a true man and how manhood relates to sexual identity. There is an alarming void of role models for the Latin American men and women who are struggling to define their sexual identity. My goal with Undertow is to tell a passionate and engrossing story that can connect with a wide audience, regardless of their sexual orientation, and that can help fill that void. After all, Undertow is a love story, and as such is a story for everybody.